Middle ground: dark greens. Smaller sheep in shadow. Foreground: fades tor brighter colors. Crosshatching in grass and small shrubs establish the ground level. Hint: Paint trees right over landscape. 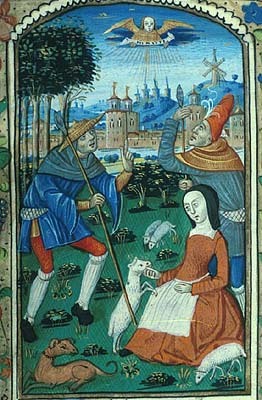 Here is how this miniature relates to the borders and text on the page.